How should I ritually destroy this device ? You see highlighted here a CP2102 USB serial converter, now just to be clear it could well be if you own a cable or board based around the CP2102 it may well work just peachy for you… Just not this one. I’ve held on to it for longer than I should have despite the intermittent strange behaviour, after having its fun with me it would often settle down and work reasonably well. This project however none of it, it started first with a bunch of none ASCII characters running across the terminal, occasionally it would stop and then restart when the return key was pressed, hinting that something might be working. 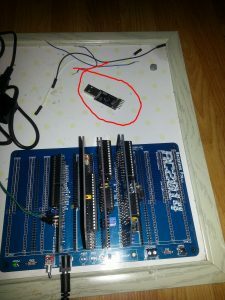 Then later after disassembling the project and checking every single solder joint with a strong light and a magnifying glass….. nothing…..
After waiting days, a cheap FT232 module plopped on the door mat, and low I had “Hello World” scrolling down the terminal. 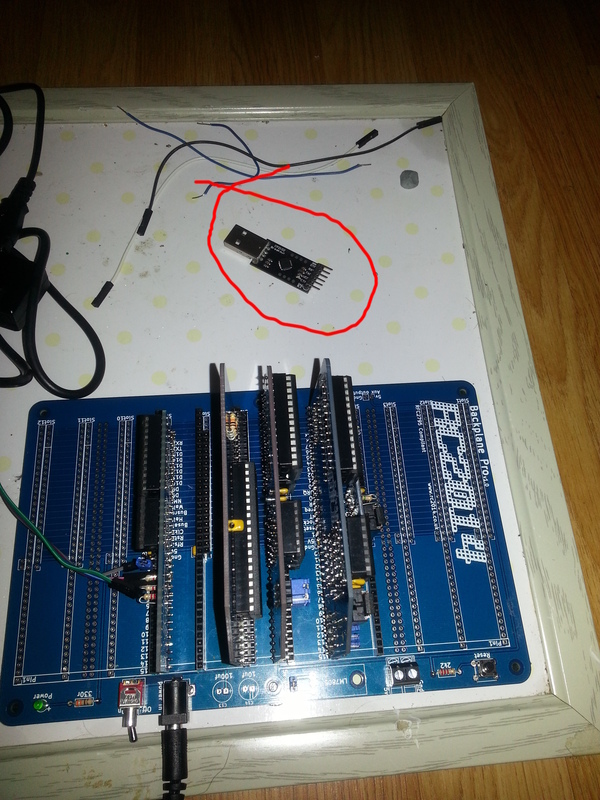 So that’s it for the CP2102 board, it has to go, but what cost effective and satisfying method should I use to dispose of this tiresome lemon of a device….. please do drop a (clean!) suggestion in the comments below. Do you have anything that can give a high energy high voltage pulse laying around?